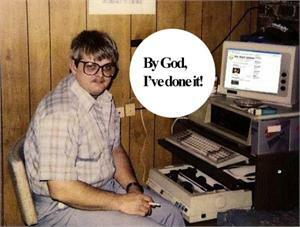 In 2013 your trusted Communications Specialists at Klick have added to their expertise toolkit. Inspired by our recent partnership with multinational consumer goods company Reckitt Benckiser, Klick is now proudly home to a bunch of Waxperts, Sexperts and Clear Skin Specialists. If you're looking to be informed or delighted on any of your personal care needs, please visit the Durex Australia, Clearasil Australia or the new Veet Australia facebook pages... We hear there are some pretty cool things in the pipeline. Holidays are awesome. They're even more awesome when they take place in one of the most spiritual locations in the world. And they are most awesome when they are given away as a free prize for you to win! 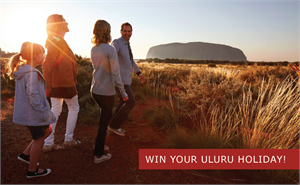 Whether you're lusting after a romantic escape or keen to take the family on an unforgettable adventure, our friends at Explore Uluru are giving away two bucket list experiences in the heart of Australia. Make sure to hit up the Explore Uluru Facebook page and explain why you want to explore Uluru. Competition closes 7th April. 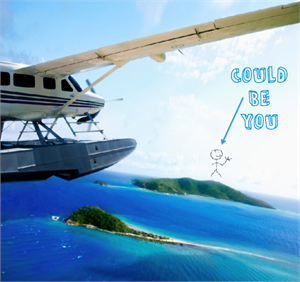 Everything you want over the Easter long weekend - unsurpassed luxury, relaxation, indulgent dining, leisurely activites and breathtaking scenery - is only a short flight away on beautiful Hayman. Whoever thinks chocolate and the beach is a no-go zone will soon be forced to eat their words (or chocolate salad, for that matter) because nobody does Easter quite like Hayman. If you're ready to book a family escape or romantic getaway for two, contact Reservations on 1800 075 175 or email them reservations@hayman.com.au or just dream about it here. It's been well acknowledged that if you are interested in anything to do with technology, digital or social media and are after a mind blowing experience, a trip to Austin for the annual South by Southwest conference is the ticket to rocking your socks. A Klickster was sent to Texas to represent the agency for the fourth year running, and whilst that team member is still getting her head around the latest developments in 3D printing and the neuroscience of storytelling the rest of us are stoked to be taught the secrets to catching (and keeping) people's attention. Got any specific SXSW questions? Tweet us! 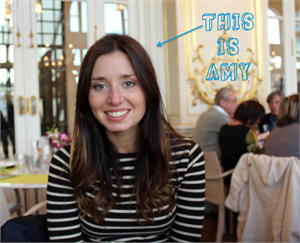 The Sydney team got a little bit more awesome this week with the introduction of a new Klickster: Amy Lucas. Amy wants to be David Attenborough when she grows up. Until then, she's happily placed as a Communications Executive in Surry Hills. Welcome Amy, stoked to have you!